How serious must a wrongdoing be for a doctor to be fined, suspended, or struck off the register so he can no longer practise? These are the questions that every disciplinary tribunal (DT) set up by the Singapore Medical Council (SMC), the medical professional watchdog, has to decide when they find a doctor guilty. Yet, there are no guidelines to help. The only aid is to look at penalties imposed by DTs in the past. A recent DT has found this unsatisfactory and has asked the SMC to come up with guidelines on penalties. Frankly, such guidelines are long overdue. Doctors are not judges, and although they rightly sit in judgment over their peers who have erred, adjudicating over such matters is not their area of expertise. Clear and transparent guidelines would be of great help, not just to the DTs but to the entire profession who would know, from the penalties, how severely certain actions are deemed. Hopefully, the SMC will heed this call. When asked, its spokesman said that it "noted the disciplinary tribunal's recommendation to SMC on formulating a set of sentencing guidelines". It added: "Prior to the DT's recommendation, the SMC has been discussing and reviewing this matter." The faster this can be done, the better. When a complaint is made to the SMC against a doctor, it is assessed by a complaints committee that decides whether to pursue the case with a disciplinary hearing or to drop it, sometimes with a letter of advice or warning to the doctor. Should the case merit a hearing, a DT is set up to hear it . Both the SMC as prosecutor and the doctor who is the defendant are usually represented by lawyers. If the DT finds the doctor guilty, it decides on the penalty, which can range from a censure to fines of up to $100,000, suspension of three months to three years, or even taking the doctor off the register, which means he can no longer practise medicine. The DT looks at previous punishments meted out to decide on the penalty to impose. There is no guide to say what penalties are to be imposed for different wrongdoings. So a sympathetic DT will likely impose less severe penalties than one that is stricter. Those who follow cases heard by DTs may think that the penalties imposed are sometimes decided on the whims of the people involved, as they have seesawed from the extremely lax to the highly severe. A doctor who badly damaged a patient's hand by giving him a drug he had already said he was allergic to, then didn't tell him about the mistake and continued with the treatment, and then falsified his records to protect himself, was let off with a fine of $10,000. Another doctor, who started a caesarean section before sedation took effect, was suspended for nine months (reduced to five months on appeal to the High Court) and fined $10,000. Records were also falsified in this case. In both cases, there was harm to the patient and dishonesty in falsifying the records. One tribunal was satisfied with a $10,000 fine, while the other added a nine-month suspension on top of the fine. Was one too lenient or the other too strict? It is difficult to say because there is no yardstick to measure these penalties against - unless it involves cases that have landed in the Supreme Court where professional judges decide on the correct penalty. Now, you can't really fault the DTs. They are, after all, doctors who are not trained in such judgment. And to make matters worse, as pointed out by the tribunal that recently made a call for proper guidelines, they get little help in deciding on the appropriate sentence. That tribunal comprised Professor Walter Tan, a plastic surgeon in private practice; Dr Arthur Tan Chin Lock, a general practitioner; and Mr Bala Reddy, a legal service officer. 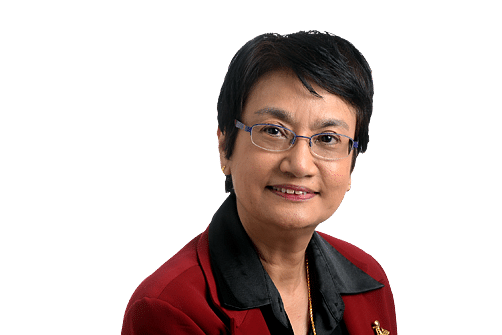 In that hearing, the SMC's legal counsel had asked the tribunal to suspend the doctor for three to four months for not immediately referring a patient to a specialist. The doctor's lawyer, on the other hand, suggested that a $15,000 fine would be sufficient, as the doctor had every intention of making such a referral if the patient's condition had worsened, and had not gained financially from his actions. There was no question of what had occurred and the doctor had pleaded guilty. The only question was what was the penalty he merited. The tribunal asked the SMC's counsel about the factors that should be taken into account before imposing a suspension. They got little help there, as the reply was essentially: "There is no bright line as to when the suspension threshold is crossed." This tribunal appears to have done painstaking research into previous cases before deciding on a $30,000 fine for the doctor. But they bemoaned the "lack of guidance in Singapore as regard the sentencing of doctors in disciplinary proceedings". They then urged the SMC to formulate guidelines on appropriate penalties. Their argument is cogent. They said: " Different sanctions (for example, removal from the register, suspension, fine, censure) have different consequences on the public and on the medical practitioner. "It is therefore important for there to be guidance based on case precedents and policy considerations so that medical practitioners may be aware of the severity of their misconduct. "This will also ensure that sentences meted out by the DTs and courts are consistent with how the medical profession perceives instances of professional misconduct." That the profession does not see eye to eye with some of the findings and penalties meted out by DTs can be seen in the recent petition to the SMC by more than 1,000 doctors. They had felt that the penalty handed down to a doctor was too harsh. Something is wrong if so many doctors find that the medical watchdog body's judgment is too strict: either the body was indeed too harsh, or the doctors' assessment of wrongdoing was too lenient. Setting up guidelines will help not just tribunals deciding on penalties, but also practising doctors who will know clearly what is considered acceptable behaviour and what isn't. It will differentiate slight infractions from serious mistakes. These guidelines should not be set up by the SMC alone, but must be done in conjunction with the doctors themselves, so that there is a consensus on what is acceptable behaviour. And the guidelines should be just that and not cast in stone, as every case may be different, with its own unique features. But the tribunal in judgment would need to make a case if it wants to deviate from the guidelines. The SMC is not alone in the way it polices members of its profession. The Law Society does the same for lawyers. Both are professional bodies that sit in judgment of their peers when there is suspected wrongdoing. Both depend on precedents to determine penalties. But it could be argued that lawyers are trained in this field, whereas doctors are not. The tribunal noted that the medical watchdog in Britain has set out guidelines, and provided the rationale behind each sanction, and the broad factors which may lead to the imposition of each sanction. Such clarity and transparency should remove the fear some doctors have that they might be so unlucky as to get a "hanging judge" who will impose a more severe punishment than is merited, and be assured that their cases would be dealt with fairly. Disciplinary hearings, unlike normal court hearings, are carried out behind closed doors. Having a guide on the punishment for different levels of wrongdoing would align the penalties imposed by different DTs. This way, a more even-handed system of justice can prevail.